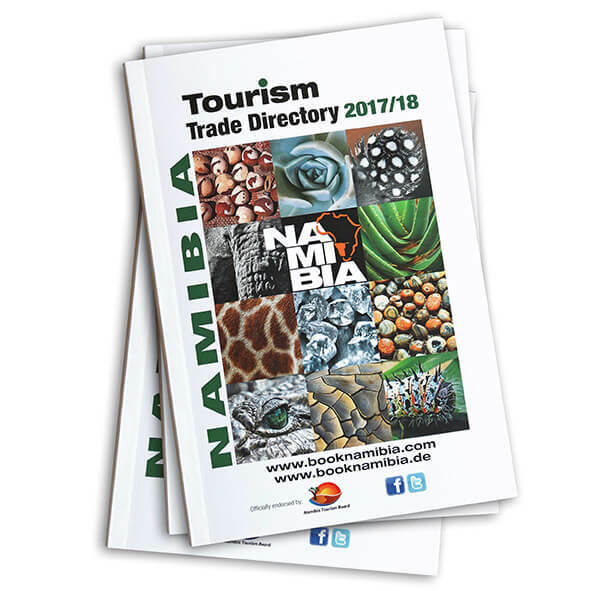 To receive a FREE version of the Namibia Tourism Trade Directory 2017/18 in an A5 sized printed format, please complete the order form and submit your order to us. Once we have received your order it will be processed and posted to you. Please note this offer is strictly for tour operators & travel agents. Private individuals looking for travel information on Namibia, please browse this website. NB: Please ensure that your full and correct postal address is provided when placing the order.